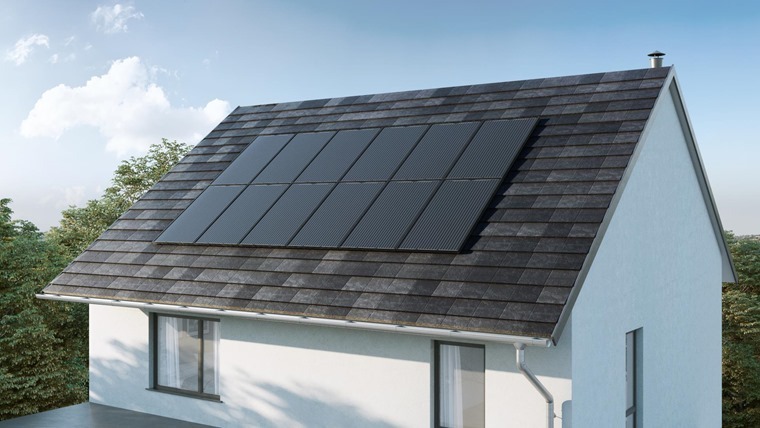 Nissan today announced the launch of Nissan Energy Solar – one of the few comprehensive ranges of solar options available in the UK. Aiming to save customers up to 66% on their energy bills, the all-in-one solution combines solar generation with an energy storage and management system for UK householders. 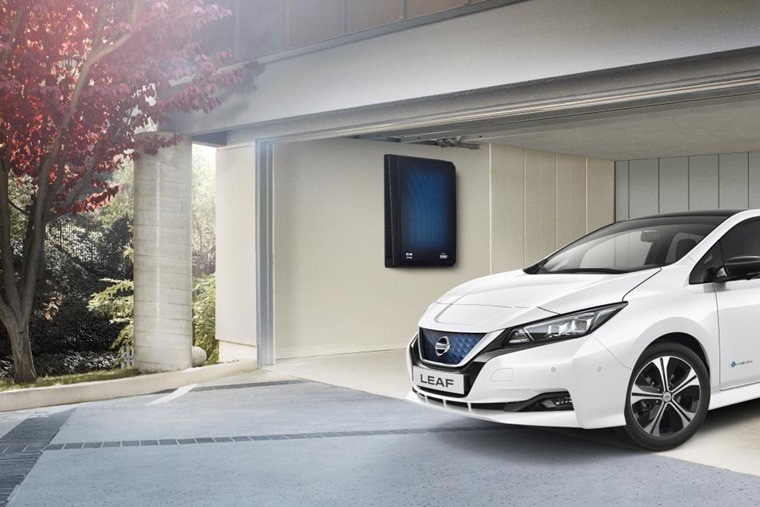 UK customers have the choice to select energy storage systems that use either new or second-life batteries from Nissan electric vehicles. This maximises the use of recyclable materials, for intelligent living and a more sustainable future. The home energy management system will allows users to control how and when they use their energy. The system significantly reduces homeowners’ carbon footprint and energy costs, by automating energy flows to optimise solar energy production and battery storage capacity. 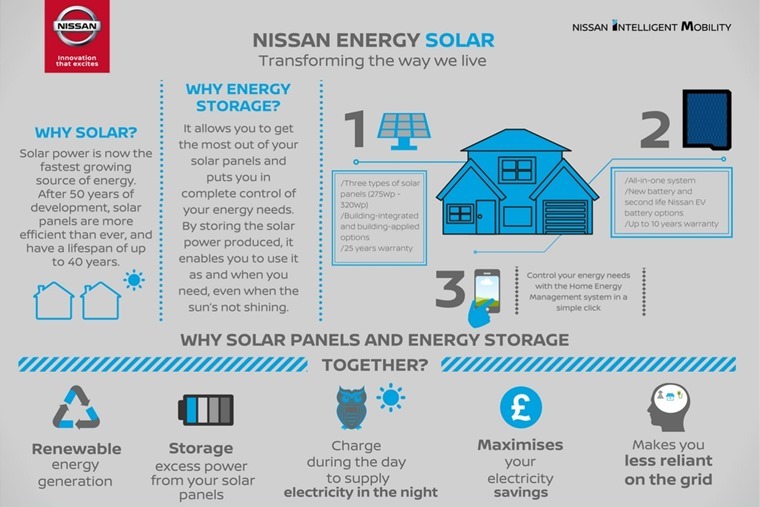 Speaking in London today, Gareth Dunsmore, electric vehicle director, Nissan Europe, said: “Nissan Energy Solar is a complete system for home energy generation, management and storage. And with the Nissan Leaf going from strength to strength as the world’s best selling electric car, and the eNV200 electric van also in the offering, by inserting themselves into the power supply business it could help Nissan carve out their own corner of the market.